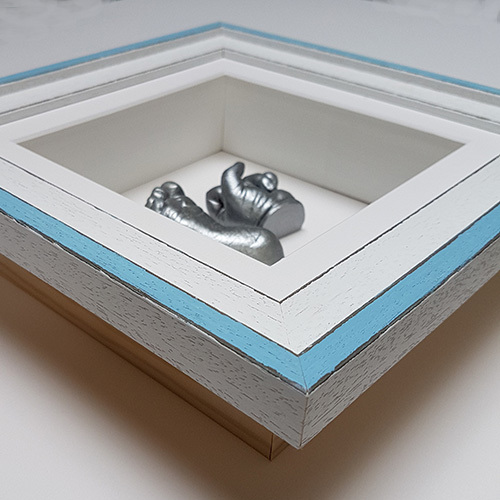 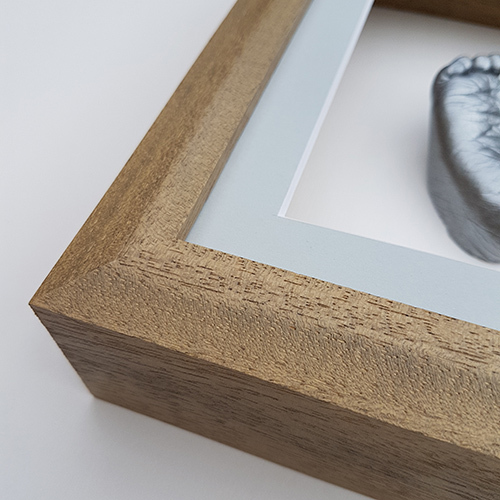 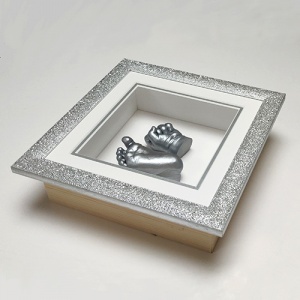 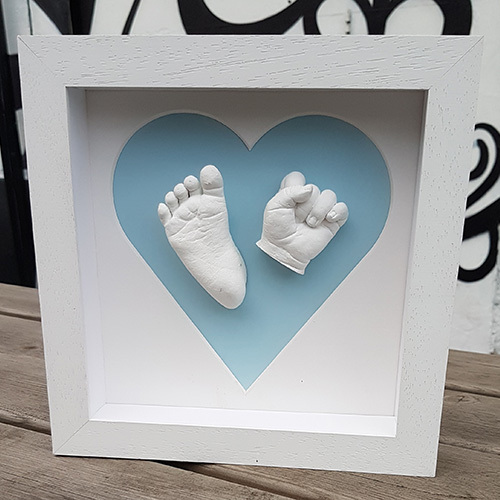 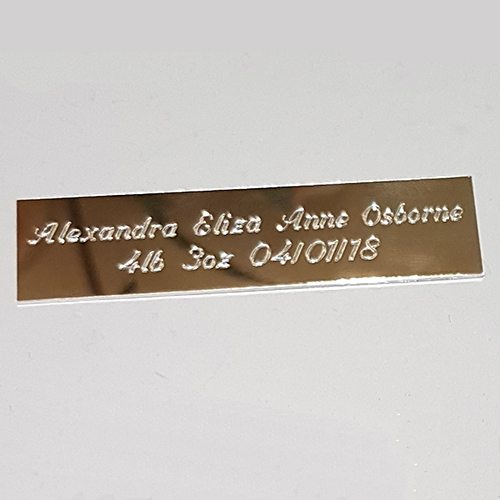 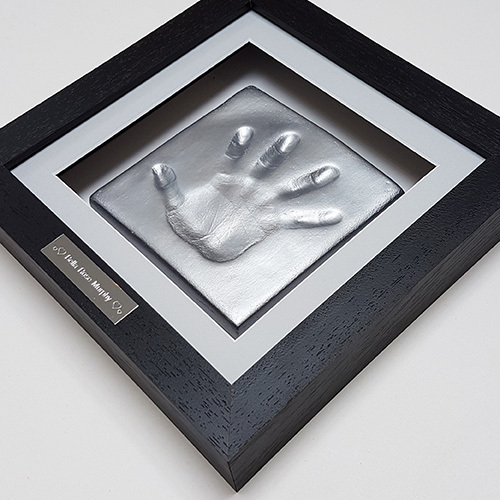 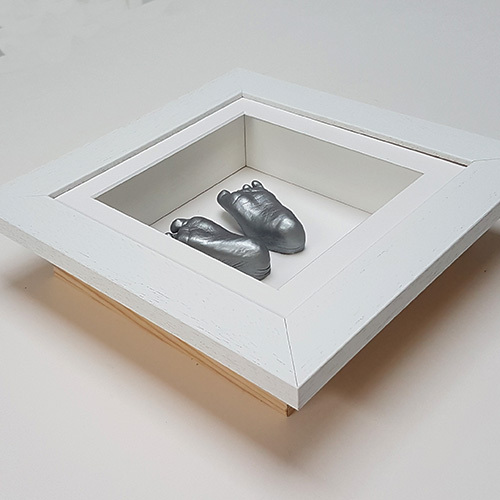 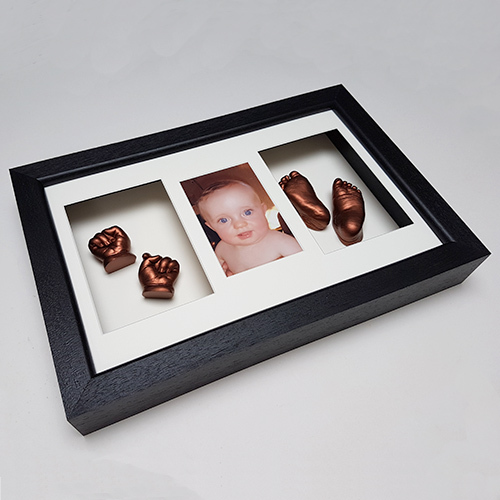 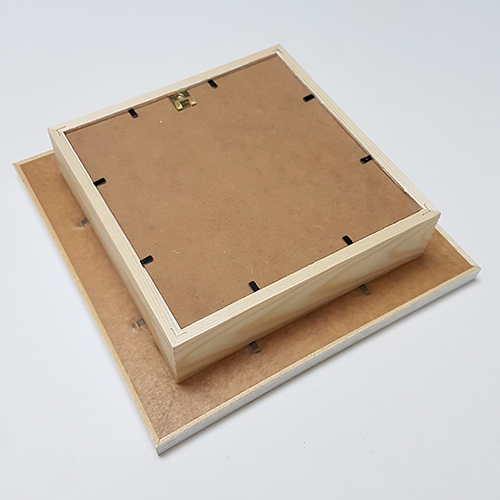 This versatile 12x10" baby casting box frame comes with a double aperture with one space for a photo and the other for newborn casts, clay or raised impressions. 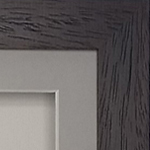 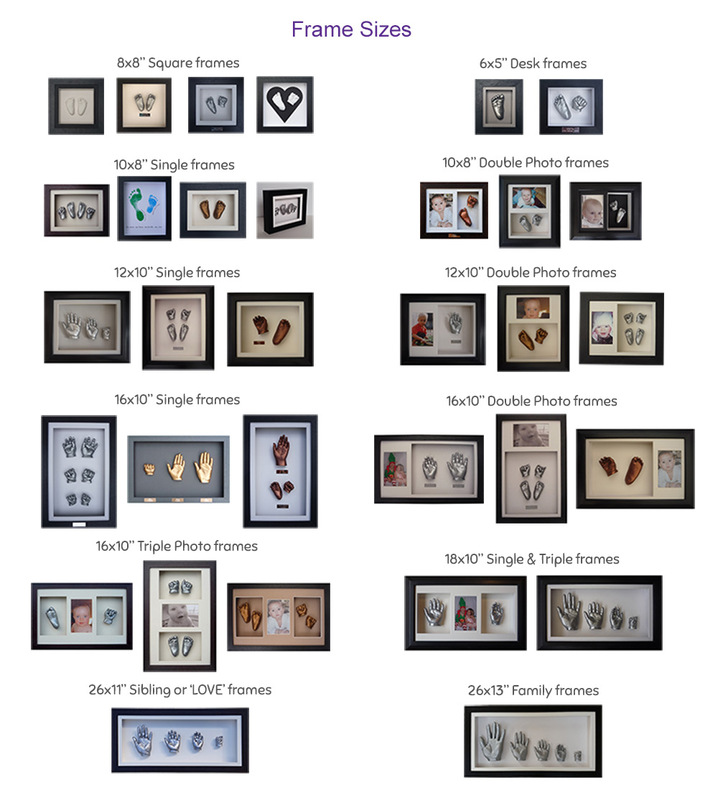 The frame can hang landscape or portrait. 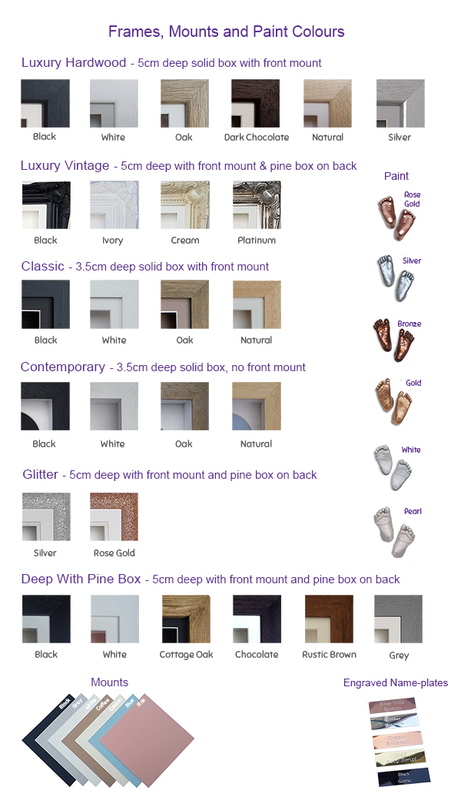 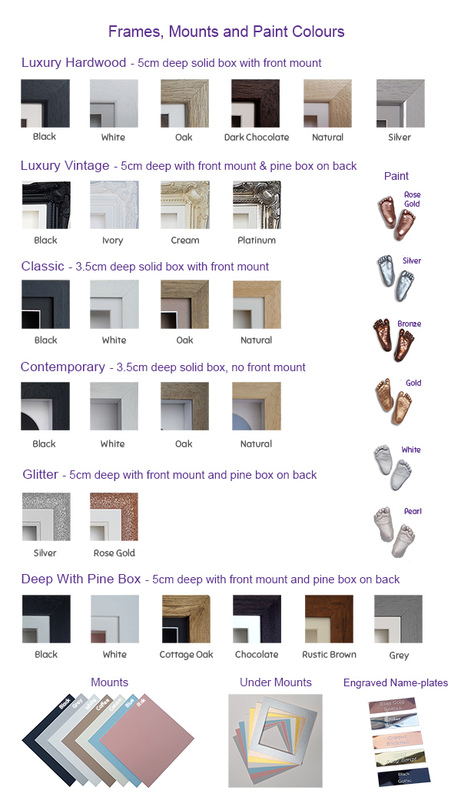 Choice of precision-cut mount colour - white, cream, black, coffee, grey, pink or blue. 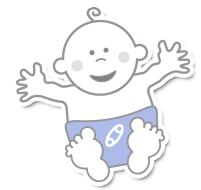 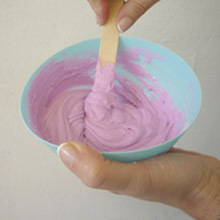 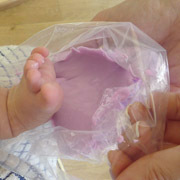 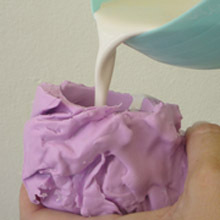 The internal depth is 3.5cm.